On Thursday, May 17, more than 480 students walked across the stage and joined Dunwoody’s long and proud history of motivated and determined alumni. 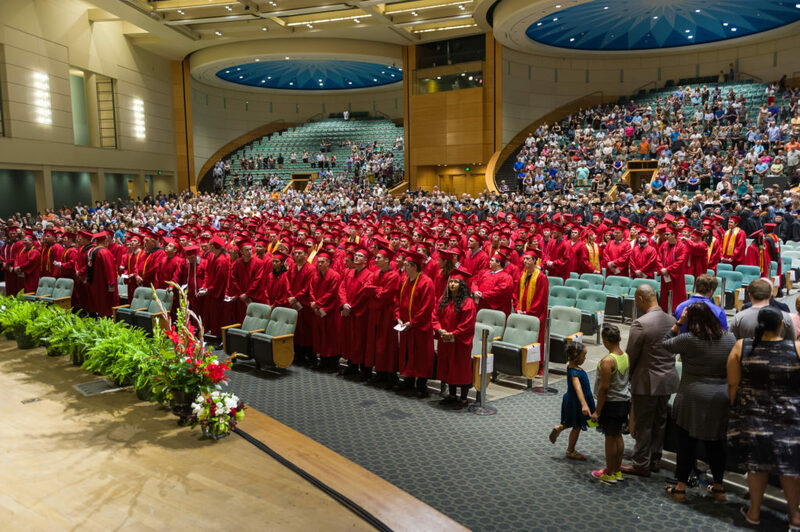 Dunwoody’s 2017-18 Commencement Ceremony took place at the Minneapolis Convention Center. 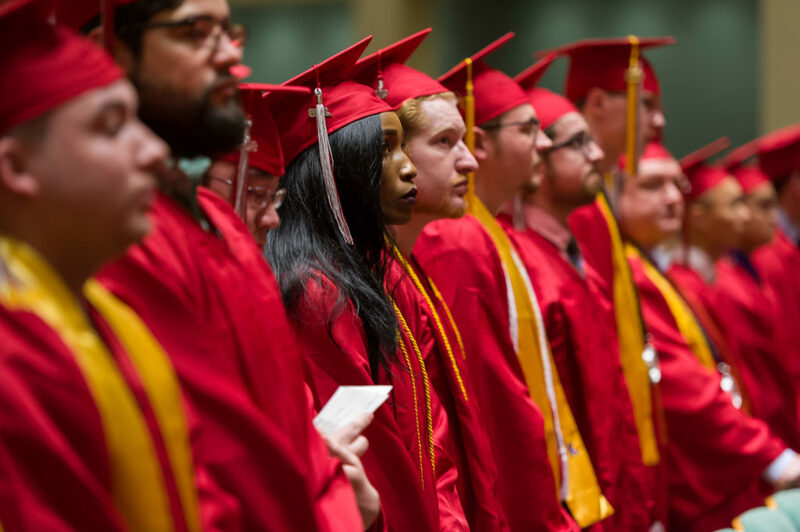 Rob Borchardt, Associate Director of Career Services, reported that at the time of Commencement, 85% of the graduating class was already employed in their field. 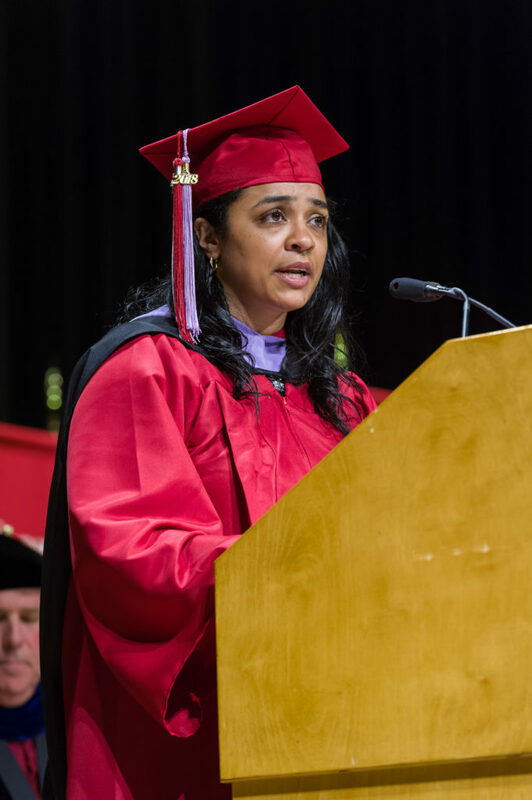 Gianna Madison, one of the College’s first graduates from the Bachelor of Architecture program, was selected as the student speaker. The 2018 graduation ceremony marked the third degree she has received from Dunwoody. Be grateful for every day, and show appreciation. Ask for help when needed. It teaches humility. Help others whenever possible. It builds character. Build a strong support system and rely on it. Challenge yourself, your thoughts, and your beliefs. Embrace challenges because a challenge is an opportunity yet to be explored. No matter what, never give up. You will never know what level of greatness you can reach if you don’t give yourself the opportunity to do so. 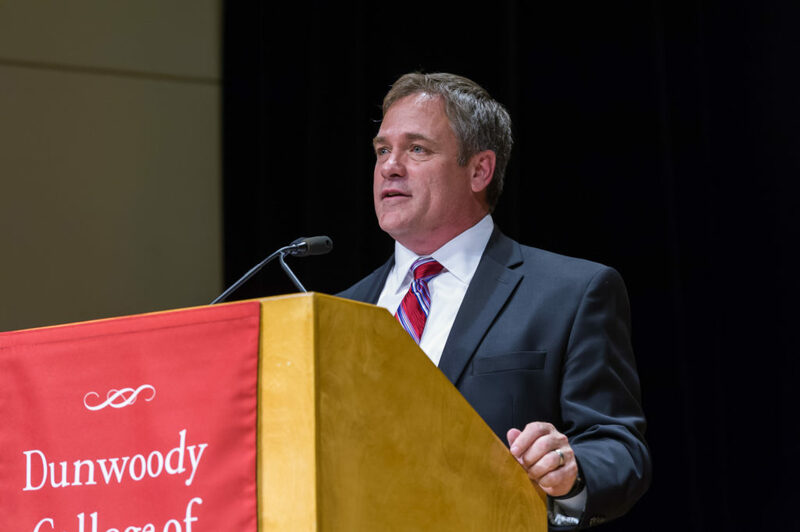 Mark Sherry, President of Mortenson Development Incorporated and Senior Vice President of Mortenson Construction Company, was the ceremony’s keynote speaker. Sherry, an ‘87 Dunwoody Architectural Drafting & Estimating Technology alum, described his journey to Dunwoody and lessons learned throughout his 30-year career with Mortenson Construction. He also applauded the Class of 2018 on their accomplishments and shared what they can expect now because of their degrees. 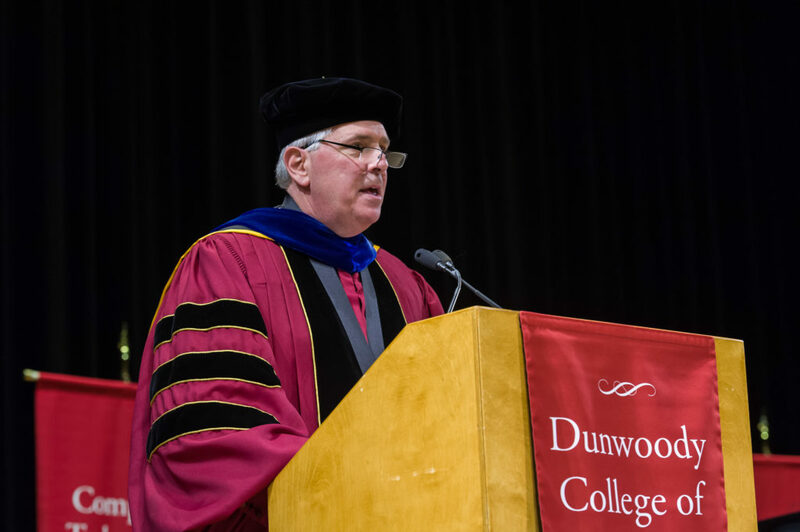 After the degrees were awarded and diplomas were distributed, President Rich Wagner reminded graduates that it’s now their turn to build on the Dunwoody legacy. Congratulations to all of Dunwoody’s 2017-18 graduates.